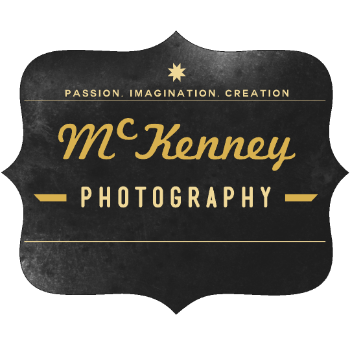 McKenney Photography is a family owned studio located in Biddeford Maine. Opening in 2002, McKenney Photography has become Southern Maine's premiere photography studio. Our studio is located in the beautiful and historic Pepperell Center on Main St.
Joe was born and raised in Biddeford, and graduated from Biddeford High School in 2001. Joe then attended the Hallmark Institute of Photography graduating with honors in 2002. Since then, Joe has worked hard to grow his business, and is excited to be in his hometown "I am blessed with the success that has come my way, and excited to be opening my studio in a place I love". Joe takes great pride in being able to help captures our client's precious Memories. Joe lives in Biddeford with his wife Jill, son Griffin, daughter Emmie and a multitude of four legged friends. Amie joined the McKenney Photography staff in 2012. She fell in love with Photography during her very first photography class in high school. That was in 1996! A very long time ago! Amie continued her education in Pensacola, Florida, moved back to her hometown in Waterboro, Maine and finished her studies at the University of Maine. Amie lives in Waterboro with her husband Kevin, three children Kenadee, Bailey and Dakota." I am thrilled to be following my dreams and growing photography business with a great partner. I could not be more blessed. The thing I love most about photography is capturing life. It goes by so fast. I love that with just one click of my camera I freeze a moment in time forever!"